Wildfires in Utah and Arizona made for hazy skies this week in Southwest Colorado. Near-record high temperatures, strong wind gusts and low relative humidity have fire managers on edge in Southwest Colorado and prompted a red-flag warning Thursday for Montezuma and La Plata counties. Local fire chiefs and the Bureau of Indian Affairs have been discussing Stage 1 fire restrictions, which will likely be implemented before the Fourth of July holiday, he said. Stage 1 restrictions limit campfires, wood and coal-burning stoves, charcoal grills and open fires on undeveloped lands. 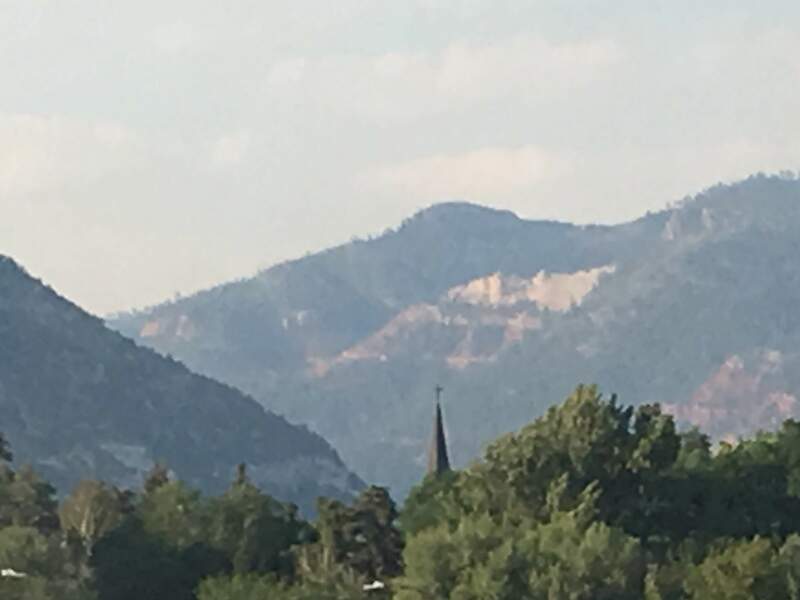 As if the heat weren’t enough, residents are reminded of the fire danger thanks to wildfires burning in Utah and Arizona, which clouded skies this week across Southwest Colorado. The fires are far away and don’t pose any hazard to this corner of the state, Davis said. He reminded residents that most fireworks are illegal in Colorado. “As these conditions increase, it’s not only against the law, but it gets to be kind of unethical to be setting stuff off,” he said.